Goldenrod flowers; photo by Tim Tonjes on Flickr (noncommercial use permitted with attribution / no derivative works). 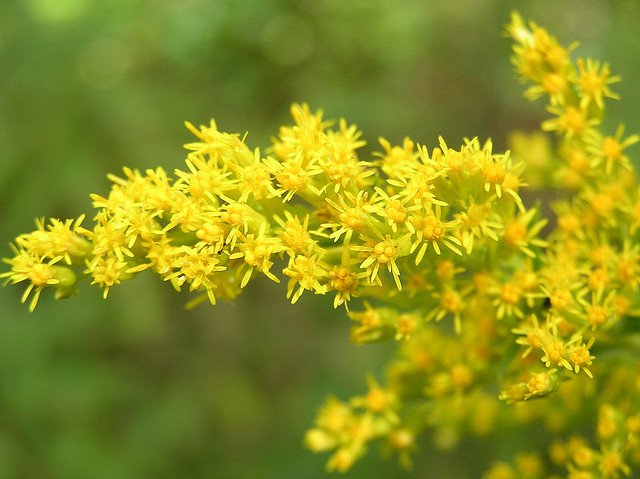 About thirty varieties of goldenrod are found in Kentucky and it grows throughout the state. Although the statute does not specify a particular variety of goldenrod, Kentucky legislature's website does (Solidago gigantea). 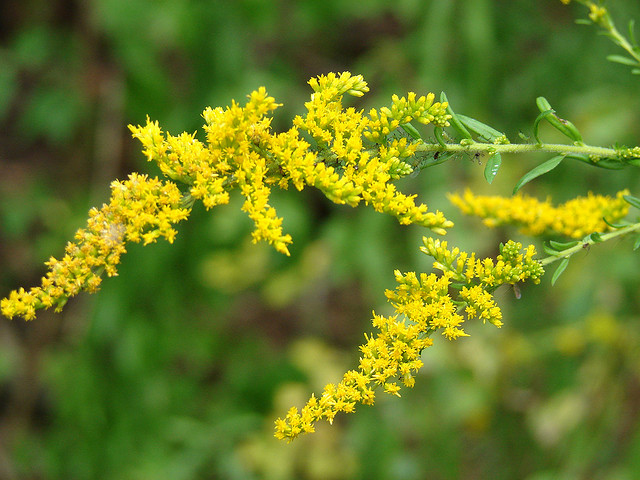 Nebraska also adopted goldenrod as the state flower; South Carolina recognizes goldenrod as the state wildflower symbol, and Delaware designates sweet goldenrod (Solidago odora) as the official state herb. Goldenrod flowers; photo by FelinusNoir on Flickr; noncommercial use permitted with attribution / no derivative works.